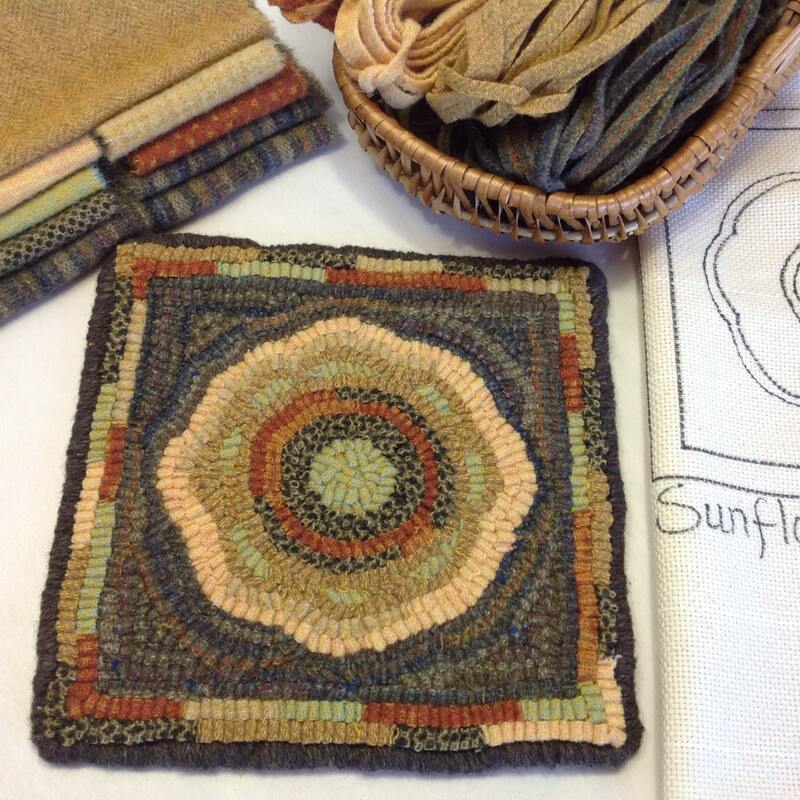 This listing is for the KIT to hook my design "Sunflower Mat". The design measures 8" x 8". If you know how to hook or are planning to take a class, this is a perfect beginner project. Also, a great kit for veterans to hook up quickly or to teach a friend to hook. 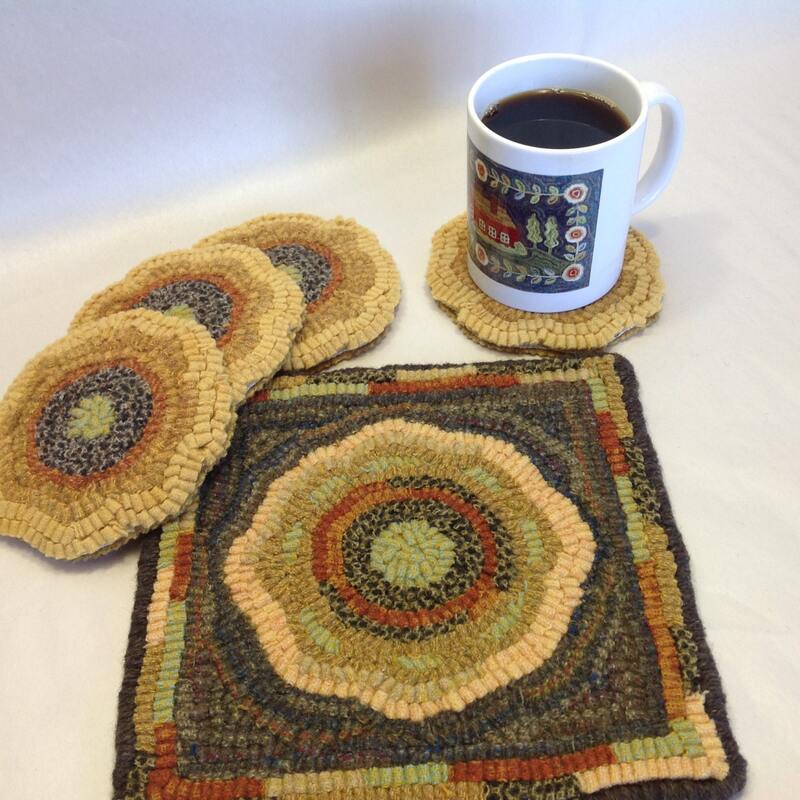 It makes a great trivet for a tea or coffee pot. 1. The pattern on cotton monks cloth OR primitive linen, select your choice. 2. 100% wool fabrics that I have hand dyed and/or fulled. Cut in #8 (1/4" wide strips). 3. Instructions of where to use the colors in the wool pack and a color photo. The kit DOES NOT include a hook, frame or hoop, or finishing tape or yarn. It DOES NOT include instructions on how to hook. 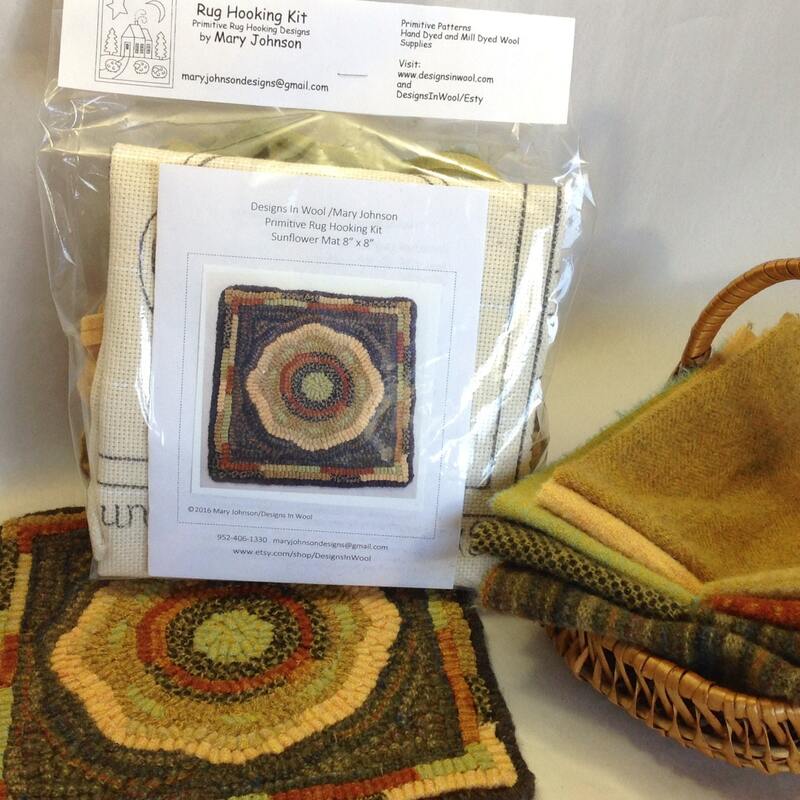 If you purchase this kit, I recommend that you find a rug hooking class in your area to learn how to hook primitive rugs. The second photo shows how the kit comes packaged. An instruction sheet with where to hook the wool and finishing tips is included. The wool in the kit will be cut in a #8 (1/4" wide) cut. Wool selection may vary slightly from photos. There is a generous amount of wool in the kit, based on what I used while hooking it. If you hook tighter or higher than I do, you may need more wool which you are welcome to purchase. Thank you for visiting and please feel free to contact me if you have any questions. © Mary Johnson. Rights for one time use by purchaser. May not be shared, copied or reproduced in any manner. Thank you for respecting copyright laws and for your support of my small business. Super fast shipping and great quality kit! It came today when I'm snowed in, so I'm going to get started on it right away! 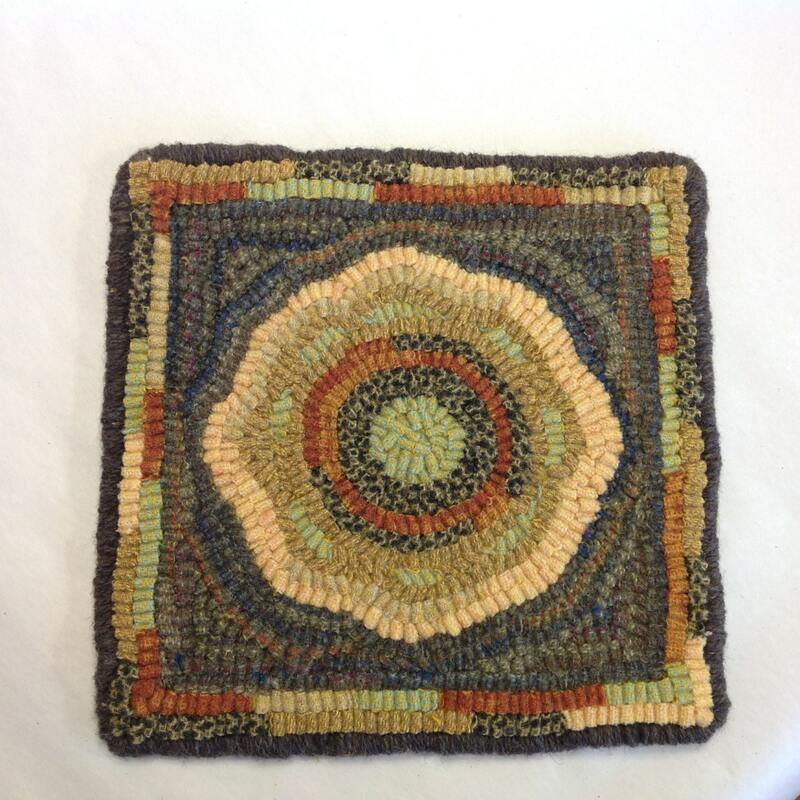 This is my very first rug hooking experience and I am thoroughly enjoying it. The kit makes it so easy for a beginner. Easy to understand directions and truly pleasant transaction. Will be buying from this seller again.